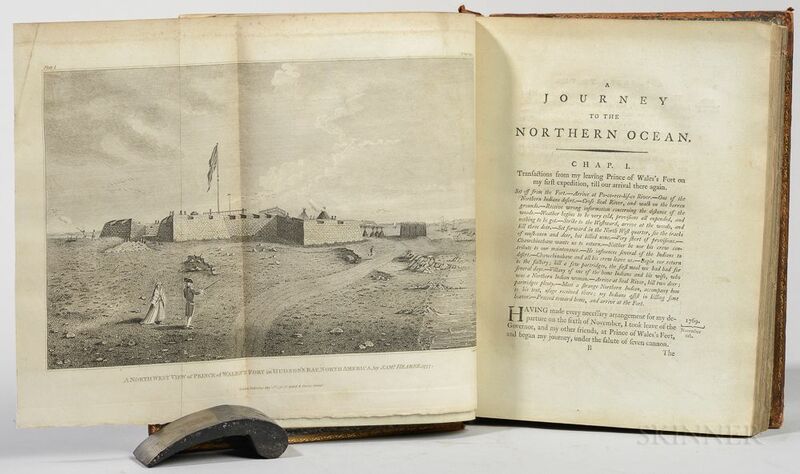 Hearne, Samuel (1745-1792) A Journey from Prince of Wales's Fort in Hudson's Bay, to the Northern Ocean. 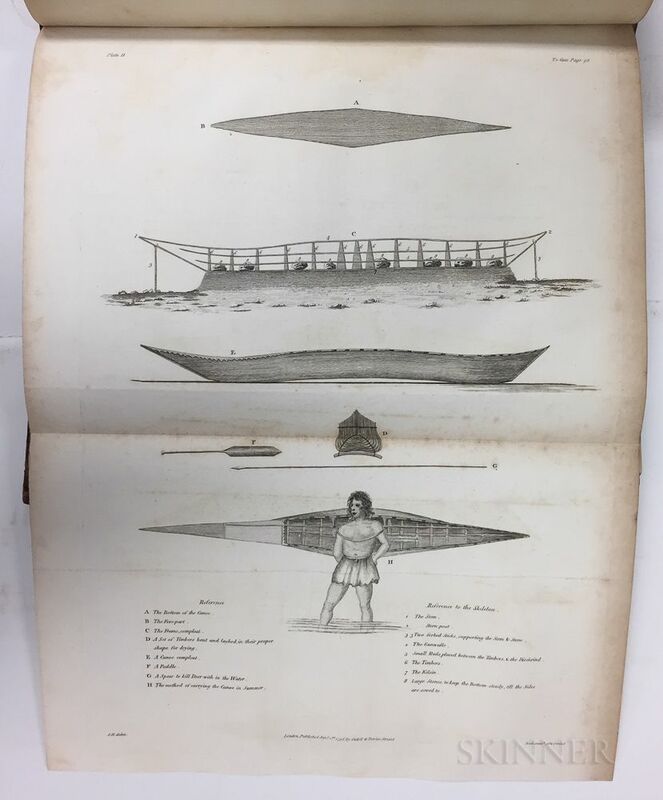 Hearne, Samuel (1745-1792) A Journey from Prince of Wales's Fort in Hudson's Bay, to the Northern Ocean. Hearne, Samuel (1745-1792) A Journey from Prince of Wales's Fort in Hudson's Bay, to the Northern Ocean. 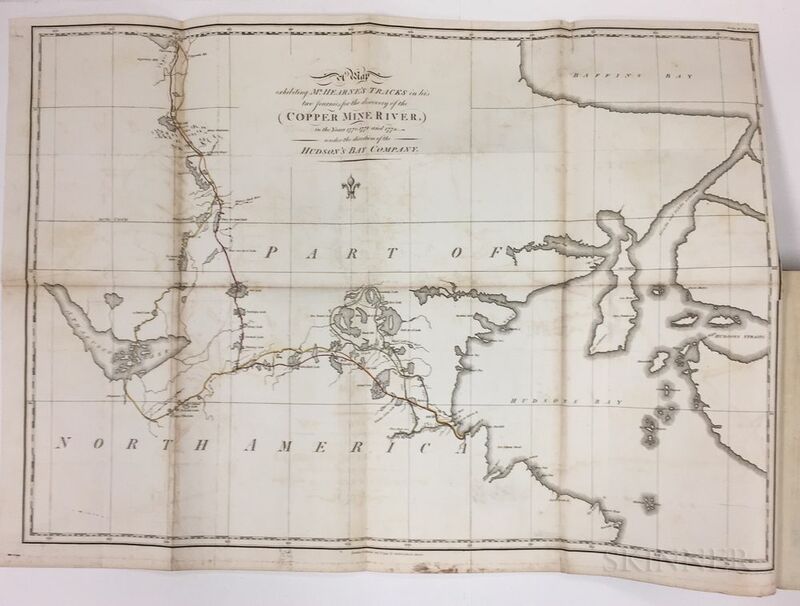 Hearne, Samuel (1745-1792) A Journey from Prince of Wales's Fort in Hudson's Bay, to the Northern Ocean. 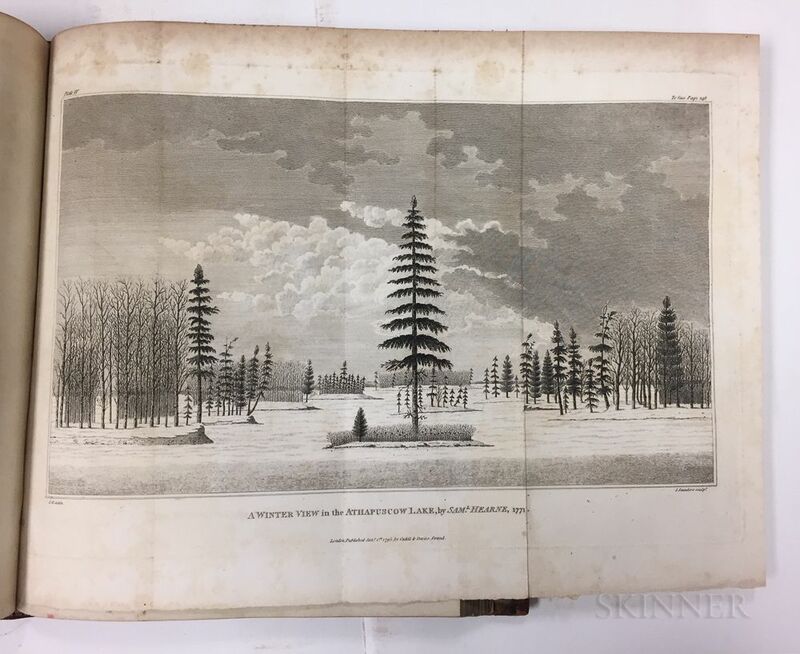 Hearne, Samuel (1745-1792) A Journey from Prince of Wales's Fort in Hudson's Bay, to the Northern Ocean. 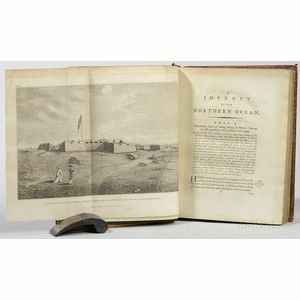 Hearne, Samuel (1745-1792) A Journey from Prince of Wales's Fort in Hudson's Bay, to the Northern Ocean. 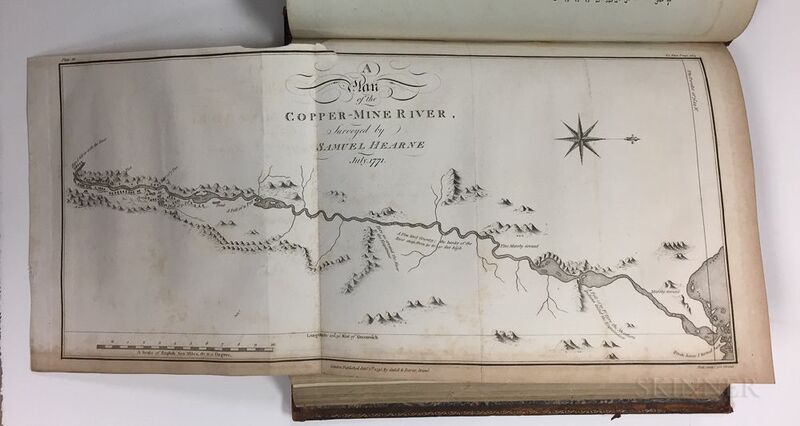 Hearne, Samuel (1745-1792) A Journey from Prince of Wales's Fort in Hudson's Bay, to the Northern Ocean. 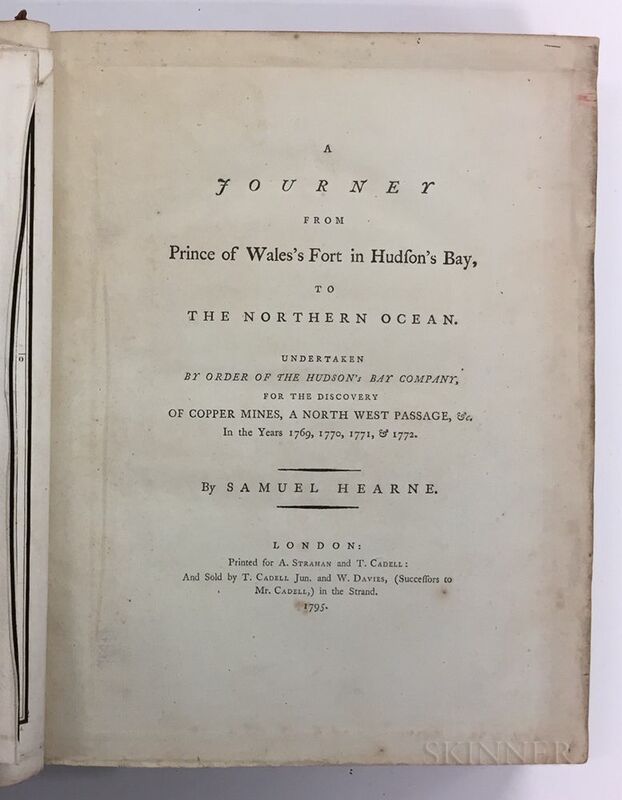 Hearne, Samuel (1745-1792) A Journey from Prince of Wales's Fort in Hudson's Bay, to the Northern Ocean. 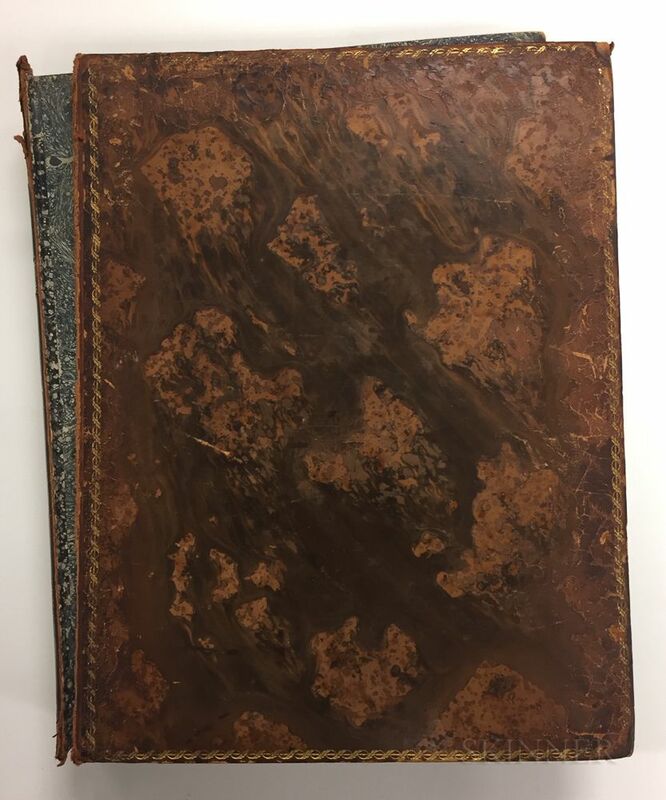 London: A. Strahan and T. Cadell, 1795. 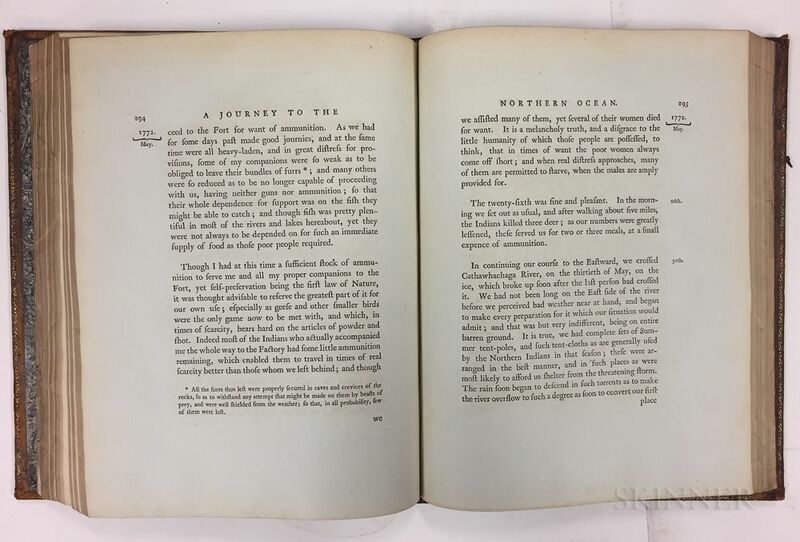 First edition, large quarto, illustrated with large folding engraved map of the route bound as frontispiece and an additional eight plates (of which three are folding views, one is a full-page illustration, and the other four are folding maps); bound in full contemporary marbled calf boards, rebacked, both boards detached, 12 x 9 1/4 in. [pi]2, a-e4, B-Z4, Aa-Zz4, 3A-3M4, 3N2.